New York’s sushi joints can be broken down into three tiers. Tier One places serve fish that melts in your mouth and makes the other places look silly. Think Sushi Yasuda and Masa. These are the priciest of the pricey, but every once in a while you can find a Tier One diamond in the rough that won’t do a Madoff on your bank account. Tier Two consists of sushi restaurants that aren't nearly as special, but are a hell of a lot more affordable. These places tend to focus more on specialty rolls, but great nigiri and sashimi can be had as well. Poke and Yama are Tier Two type places. The third tier consists of sushi best saved for lunch at your desk or a light meal in a pinch - we’re talking one step above the boxed stuff at Midtown delis. Kanoyama is a prime example of that Tier One diamond in the rough. 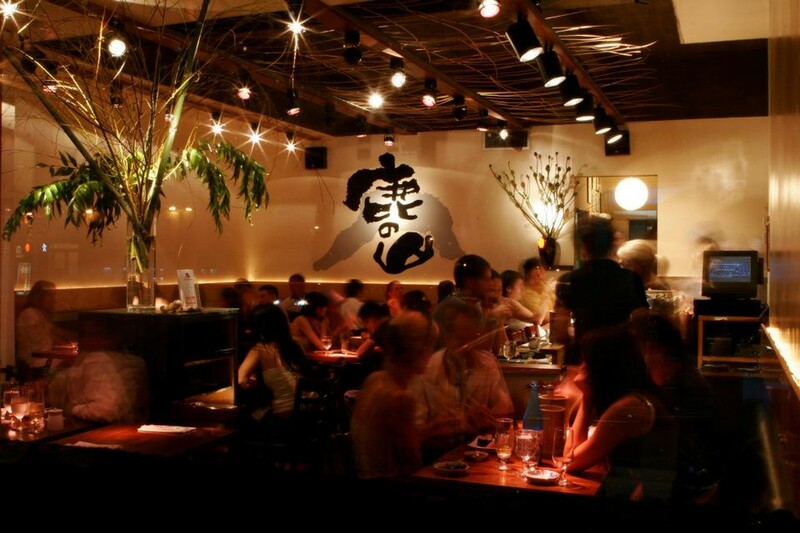 This is some of the best sushi you’ll find for the money in Manhattan, with fish that’s imported fresh daily and served in an enjoyable atmosphere. Friday and Saturday nights are slammed and can be problematic since they take limited reservations, so weekday dinner is the way to go. The sushi bar is an excellent place for dining solo, and if you live in the area, there is no better sushi delivery spot. Kanoyama really ups the ante in the miso soup department. They offer a number of different miso creations, our favorite being the Asari Miso with small cherry clams. It’s a great way to start off your meal, and worth the few extra bucks. Fresh oysters are delivered daily from Washington, Canada, New England, and any other place they can find good bivalves. An order of either a half or full dozen assorted oysters is almost a must. You won’t be disappointed. Kanoyama’s baby octopus is served on a hot plate, fresh off the fire. It’s incredibly tender and packs a little punch thanks to the spicy miso sauce it’s cooked in. A must order at any fine fish establishment, this cod can’t compete with the city’s best (Nobu), but at half the price, you can’t really complain. The fish is broiled in a miso glaze, giving it a nice caramelized finish. These cones of spicy tuna chunks and avocado are heavenly. You need this badly. Well-executed pork dumplings. Make this the one and only meat dish you order. Entrée wise, stick with sushi and sashimi. Don’t stress out over which fish to order - let the chef handle that for you. The Sashimi Omakase features their nine best kinds of fish, while the Sushi Omakase features eight pieces, plus a giant bluefin tuna roll. The recent highlight has been their massive, tender sea eel, which tastes a lot better than it looks. Other favorites include Kinmedai (golden eye snapper from Japan), Sumilka (golden cuttlefish from Japan), Akashidai (red snapper from Japan), and Buri (Japanese yellowtail).